RCPI is to become Trust Chem’s South African distributor. For years, Rolfes has actively sought to add quality products to its pigments range as a means of creating a fuller, more diverse offering for its customers. Recognised as the largest independent producer of organic pigments in Asia, Trust Chem is not only committed to innovation and service, but also sustainability. This collaboration is set to add even more value, while satisfying a growing demand for more environmentally aware pigments locally. Trust Chem is highly regarded in the South African market – it’s been servicing and supplying pigments on a direct indent basis through TCSA (its local office) since 2013. Its partnership with Rolfes is the culmination of an extended search for a local distributor to supply ex-stock to the local market. Rolfes Pigments, with its local network and market intelligence, was identified as the right partner to fulfil these critical activities in this sector. With Trust Chem continuing to supply direct indent, the intention is to provide South African customers with a complete service. Both companies are committed to creating innovation that has a lighter touch on the environment. This requires a combination of technical ability and chemical expertise. This is where Trust Chem’s state-of-the-art Research and Development centre and application laboratory plays a key role. More than 60 super-skilled technicians work in its 4 000m2 Central Lab, outfitted with US$3m worth of cutting-edge technology and equipment. This investment pays dividends in the form of impressive quality control and testing standards, in addition to the prolific research and development, which Rolfes’ local client base will now benefit from. “By the start of 2018, Trust Chem had completed pre-registration for 250 pigments and related components. 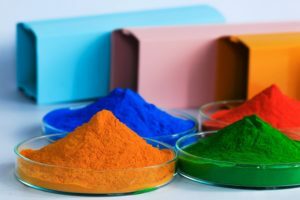 A further €3m has been invested in REACH registration for full registration of 71 pigments, and an additional €3-million budgeted for other products,” says Gani. Pigment manufacturers are under increasing pressure from multinational customers to provide consistent quality pigments worldwide. “Trust Chem has already acquired European and American approval for the majority of its products. This means most of the new range is already compliant with stringent international standards before they even enter our market,” says Gani. For more information, call 011-874-0693.